Piper was born July 16, 2002 after an uneventful pregnancy, except for my craving peanut butter and bean burritos. Actually, her birth wasn’t exactly flawless. She was a scheduled c-section for July 15 and the hospital sent us home because they were not able to deliver any more babies that day due to the nursery being too full. Have you ever heard of such a thing? Anyway, she was delivered, Apgar scores were good, and all was going along very well until about 8 hours after birth. Piper was acting very sleepy and wouldn’t nurse very often. This first night was high-lighted with two feedings and lots of sleep…for Piper. The next day, the lactation nurse came to visit due to my concerns and tried to reassure me that it would get better. She stated that Piper latched on well and all was going to be okay. We went home, but I was worried about her sleeping so much. ​Piper continued to sleep more and eat less. Additionally, she developed some reflux after eating. Not projectile, but sort of oozing. It was time for her 10 day checkup, so I was relieved to get her in to see the pediatrician. When the doctor told me that Piper had lost 15% of her birth weight, I was astounded. Then he started asking me lots of questions about her feedings and stated that she was “failure to thrive.” I began crying. Based on my experience, failure to thrive was for babies whose parents did not attend to them appropriately. I was forcing a bottle into Piper’s mouth every three hours just trying to get her to eat… she was “attended to” quite well! The poor doctor tried to reassure me and ordered a series of lab tests. After determining that she had a UTI, she was admitted to the hospital for a few days and placed on IV antibiotics. Additionally, she was placed on infant formula, instead of breast milk, and sent home with another round of oral antibiotics. Reflux meds were also added to her daily regimen. Piper was sleeping less and eating more, so the doctor attributed her difficulties to the infection. Feeding and sleeping approached a more normal routine and the reflux was better. After the sixth to seventh day of the ten day antibiotic prescription, I noticed Piper was sleeping more and eating less in quantity and frequency again. I had been letting her sleep on my chest each night since shortly after birth so that I could quickly offer her nutrition. By about the fifteenth day out, I was feeding her with an eyedropper because she no longer sucked and putting cool compresses on her to wake her to eat. Nothing was working. She was now foaming at the mouth with her formula, rather than throwing up. After a brief discussion with my mom, I decided not to wait until the following day to take her to a scheduled appointment with the pediatrician. My sis-in-law and I drove her to Arkansas Children’s Hospital ER. Immediately when the nurse saw Piper, I knew something was terribly wrong just by looking at his expressions. Her temperature was very low, she had turned light gray in color, and she never roused to any stimulation. Piper was taken to a room within seconds. The staff began asking lots of questions and trying to obtain blood. It took fourteen sticks to get an IV placed…Piper never stirred. In all the flurry of people, someone mentioned “unconscious and severe dehydration”. Spinal fluid was finally obtained after eight tries. Her tiny little body didn’t move on the gurney the entire time. After a very long and stressful night, Piper was admitted to Arkansas Children’s Hospital the next morning. Most of the next two weeks were a blur…lab work, new formula, tests, x-rays, more new formula, and an MRI. The MRI came back as “odd”, she was found to have a subluxed left hip, and she required a Ladd’s procedure to correct a slightly twisted intestine. While in surgery, she had a g-tube placed. Post-op was fine and she was moved back to her room. Within 36 hours she was VERY sick and was taken to PICU. The doctors began trying to find “zebras”, as they called it. A zebra was the term used to refer to rare diseases, disorders, conditions, etc. Bone marrow and spinal fluid samples were taken. She came back with an unexplained purple crystal in her marrow, but this was not their major concern. Piper, at about the age of 35 days, was deteriorating daily. Eventually, a very nice doctor came by to get a detailed family history. She stated that they now had ideas that something genetic was going on. Piper was on TPN due to the new g-tube placement and now required mechanical ventilation. Later the next week, the other geneticist, Dr. James Gibson, came into our lives. He asked even more questions about our family history and Piper’s symptoms. He smelled, examined, and scrutinized Piper very closely, and ordered more tests. He stated that he had strong suspicions about what was wrong with her but wanted to wait for the test results. Within a day, he came back and delivered the news. Piper had all the signs of Methylmalonic Acidemia with Homocystinuria. He said she would begin treatment as if diagnosis were certain, explained that not all patients were responsive to treatment, and asked permission to do a skin biopsy from her upper thigh. He stated this would be sent to a lab in Canada for confirmation. Well, as they say, the rest is history. 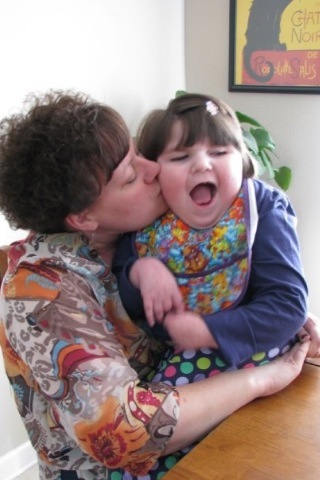 Piper began the Betaine, Carnitor, Leucovorin, Hydroxycobalamin IM regimen so common to children with Cobalamin C. She was introduced to a special mixture of medical formulas containing Propimex, Neocate, and SHS Amino Acids. She was off the ventilator within three days. Her daily medication list has grown as much as she has. Due to her compromised immune system (not common for CblC), she takes Zithromax almost year round. Additionally, she takes Keppra daily for seizures. Singular, Zyrtec, Albuterol, and Rhinocort Aqua are for allergies/asthma, as needed. Hydroxyzine is administered near bedtime, along with Melatonin, to assist her with sleeping. Recently, choline, magnesium, and fish oil supplementation were added. Piper hasn’t been underweight for at least five years now. She weighs in at around 56 lbs! She is completely dependent on tube feeding at four hour intervals except at night when she gets a very slow feeding via pump. Piper is a professional taste tester, although when she ate by mouth, she was protein restricted. Her favorite flavors are those that are salty and dark chocolate. As far as her development, due in part to a severe hypoxic event at around the age of 14 months, Piper is extremely delayed. Each week, she receives four hours homebound special education services and 3x45 minutes each of home-based OT, PT, and speech through our school district. She uses a wheel chair and is non-verbal, has scoliosis, and a dislocated left hip. Despite ALL of her issues, she is a social butterfly. She would rather play and “talk” to a person than a toy or object. She babbles a little, laughs and smiles most of the time, and stomps and postures her feet when she is getting aggravated. Addition-ally, she is quite the manipulator. If posturing and vocalizing don’t work, she just lowers her head and pretends to be asleep. It’s quite comical…though not to her therapists. Overall, despite all the close calls and vertical learning curve regarding the field of medicine, Piper, who is now 7 years old, has been one of the best things to occur to our family. With the exception of injections, her brother loves her dearly and can care for her every need, including diapers! Every family member, immediate and extended, has become a bit OCD about illness exposure and hand washing, especially when they may come into contact with Piper. We’ve been known to live like hermits to avoid germs and sickness during certain times of the year. Additionally, they are all fabulous in times of need. Whether it is bringing me a change of clothes and tooth brush, providing a period of respite for me, or keeping me company as we sit beside Piper in the PICU, we are so fortunate to have such a great support system. ​Finally, I wanted to say that I appreciate all that OAA offers. It was the very first site that my brother found after Piper was diagnosed. Although not always a rosy picture, I’ve appreciate the diversity of information and availability to link up with other parents. Keep up the good work and thanks for letting me share!